Congratulations to the organizers of World IA Day Seattle 2019. What a fantastic gathering. The speakers were especially thoughtful and inspiring; I’d encourage you to follow these links and learn more about their work: Ashley Farley, Lassana Magassa, and Domonique Meeks. 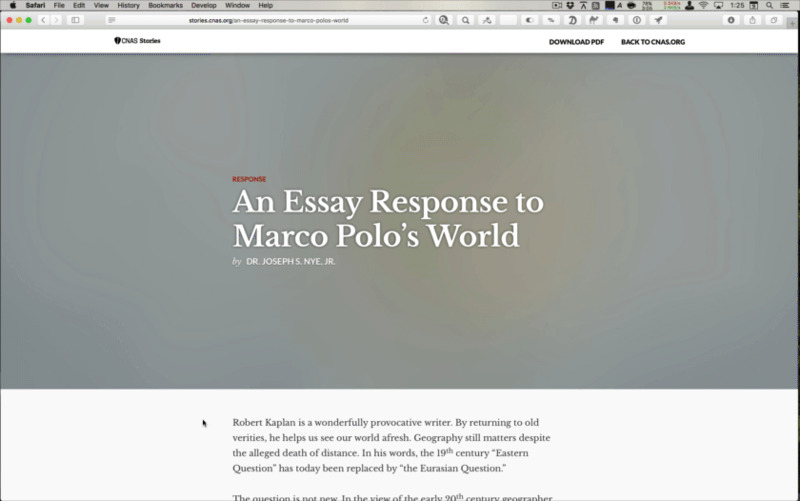 This is really clever: a global navigation header that doubles as a progress indicator for the current article. Neat! Check it out live at CNAS.org.